AN ALLIANCE OF community groups fighting plans for an incinerator in Cork Harbour have taken their battle to the High Court, seeking a judicial review of An Bord Pleanála’s approval for the controversial incinerator. The Chase (Cork Harbour Alliance for a Safe Environment) campaign managed to raise – at the time of writing – over €68,000 through a GoFundMe campaign to launch the court proceedings seeking to block the building of the incinerator. In a statement, its chairperson Mary O’Leary said there was “palpable anger and disbelief” at An Bord Pleanála’s decision to grant permission, given the evidence it gave at oral hearings on the topic. Waste company Indaver was finally granted planning permission for the waste-to-energy incinerator in the harbour in May of this year, two years after these hearings on the matter were heard in April and May 2016. The facility will treat household, commercial, industrial, non-hazardous and suitable hazardous waste, generating approximately 18.5MW of electricity for export to the national grid. Permission for it came after a long battle stretching back 17 years. 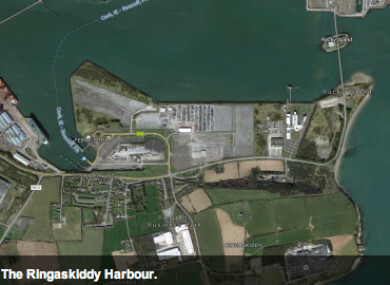 Three applications had been made to build the incinerator in the Ringaskiddy harbour since 2001. Fine Gael Cork Senator Jerry Buttimer said in May that the “case [Chase] made against the incinerator at the oral hearing of An Bord Pleanála was compelling”. While a considerable amount of money has been raised to date by Chase, it recently said that judicial review action would cost in the region of €150,000 to €200,000. In a statement, it said that an “incredible fundraising drive” has enabled this initial application for a judicial review. While the judicial review cannot overturn the decision, it can examine whether the decision was made in a lawful manner. The matter was mentioned in the High Court in Dublin yesterday, and has been scheduled to be heard next Tuesday 24 July. Email “'Palpable anger and disbelief': Cork locals bring battle against incinerator to High Court”. Feedback on “'Palpable anger and disbelief': Cork locals bring battle against incinerator to High Court”.